Concrete for repairs and rehabilitation of highways and pavements. The effects of traffic loading and the environment cause pavement, no matter how well-designed and constructed, to deteriorate over time. Repairing and rehabilitating portions of existing pavement slow down the rate of deterioration. 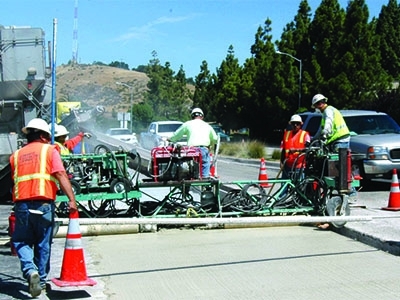 Rapid Set® Cement are used for accelerated main line paving, panel replacements, patching, intersections, and other time sensitive applications. Asphalt has held the lion’s share of repair work for years. But now, pavements made of concrete prove to be more cost effective in the initial installment as well as more durable than asphalt, making them the ideal choice for repairing aging roadways. Product used is Rapid Set Cement. 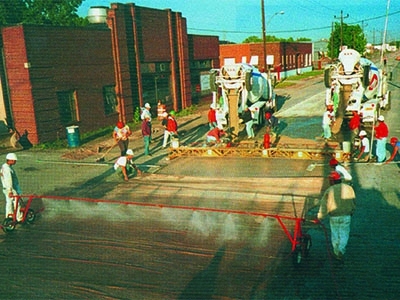 Using a fast-setting Rapid Set Cement for a Latex Modified Concrete Overlay instead of Type III portland cement, allowed schedules to be met despite unexpected delays. 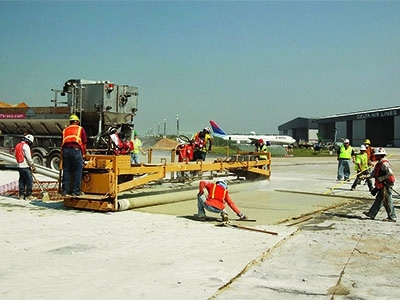 Rapid-hardening cement concrete can be used anywhere portland cement concrete can be used, and offers the greatest advantages when used for repair or rehabilitation of highway and airport pavements, bridge decks and overlays, and other projects where time is of the essence. Product used is Rapid Set Cement. The sustainability of concrete, the most widely used material in the world, is still a difficult concept to quantify. However, the Product Category Rules (PCRs) for concrete are a step in the right direction. 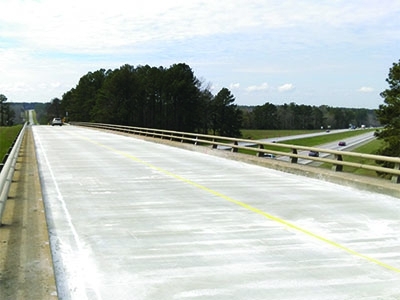 This article focuses on the sustainability of materials used in civil infrastructure such as highways and bridges, but the concepts explored are also frequently applicable to materials used for building repair.